GPS Livestock Tracking is not a new technology, surfacing more frequently over the last several years. GPS monitoring technology has a lot of potential for farmers, allowing them to monitor the movements of livestock throughout the landscape, plot grazing patterns and see what areas the livestock have been depleting nutrients in the soil. Farmers who utilize real-time GPS Livestock Tracking to keep an eye on livestock have the ability to monitor spatial movements and spatial activities, information that can provide multiple benefits. Our Livestock Tracking Service offers real-time livestock location and geo-fence rules and alerts. It offers automatic email or SMS notifications & reminders (which can be integrated with your smart phone). This means that you are in control whenever and wherever you are which lets you concentrate on what matters most in your business. In return, the Livestock Tracking Service will enable you to manage, monitor and label livestock produce correctly. This service will also provide a location, security and anti-theft solution for livestock at risk of theft or from natural hazards such as drought, starvation or from other hazards due to their environment. 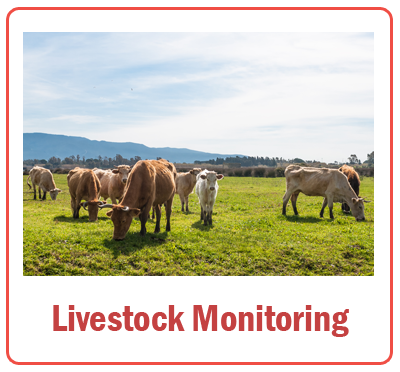 This service enables an alarm to be raised at the monitoring station should any of the live stock wander or are moved from a pre-determind set area. 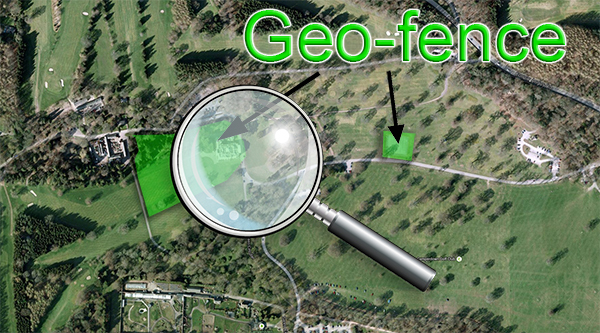 The monitoring station will then alert the owners and any contacts and provided the exact location within 5 meters. This service is both cost effective and commonly used within the livestock and farming community as it greatly reduces the risk to theft an endangerment to animals and people who surround them.